3D is a home theater viewing option that, although currently discontinued in TVs (but with many 3D TVs still in use), continues to be available in many video projectors. To experience 3D home viewing, you need to make sure you also have the right source components, such as a 3D Blu-ray Disc player, as well as 3D content, and, of course, those glasses. However, another thing to consider is a 3D compatible home theater receiver, or is it possible that you may not need to integrate a new receiver into your setup? Surround sound formats don't affect 3D video, but depending on what home theater receiver you have determines how you might need to make the physical audio connections between a 3D-enabled Blu-ray Disc player, home theater receiver, and your TV or video projector. To be fully 3D signal compliant across the entire connection chain of your home theater system, you need to have a receiver that is 3D compliant. What makes it compliant is the inclusion of HDMI ver 1.4a or higher connections. This is important if you rely on your home theater receiver for video pass-through switching or processing, in addition to its audio capabilities. However, you may be able to avoid this additional, potentially costly upgrade by planning ahead. Check out three ways you can still use an older non-3D compliant home theater receiver with a 3D TV or video projector and 3D Blu-ray Disc player. Provided your home theater receiver has HDMI inputs and can access the audio signal that is embedded in the HDMI connection, if you purchase a 3D Blu-ray Disc player that has TWO HDMI OUTPUTS (shown in the above photo), you can connect one HDMI output to the TV or projector for the video and the second HDMI output to the non-3D compliant home theater receiver for the audio. This type of setup, although requiring an additional cable connection, will provide access to all available surround sound audio formats that are employed by the Blu-ray Disc and DVD formats, as well as all audio from CDs and other program content. If you purchase a 3D Blu-ray Disc player that has one HDMI output, plus a set of 5.1/7.1 channel analog outputs, you can connect the HDMI output of the Blu-ray Disc player directly to the TV for the video and connect the 5.1/7.1 channel analog outputs of the Blu-ray Disc player (shown in the above photo) into the 5.1/7.1 channel analog audio inputs of the home theater receiver, provided your home theater receiver is equipped with this feature. 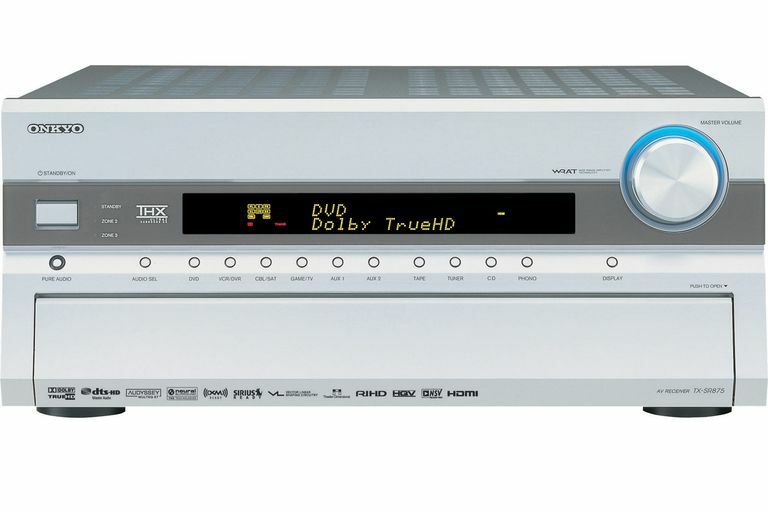 In this type of setup, the Blu-ray Disc player will do all the needed audio decoding of Dolby TrueHD and/or DTS-HD Master Audio Blu-ray soundtracks and pass those signals to the receiver as uncompressed PCM signals. The sound quality will be the same as if the decoding had been done by the receiver - you just won't see Dolby TrueHD or DTS-HD Master Audio displayed on the home theater receiver's front panel display - it will display PCM instead. The downside to this option is that it does result in more cable clutter than you might like. If you buy a 3D Blu-ray Disc Player that does not have either a second HDMI output or 5.1 /7.1 channel analog audio outputs, you can still connect the HDMI connection of the Blu-ray Disc player directly to the TV for the video. However, you would have to connect the Blu-ray Disc player's digital optical or digital coaxial output (shown in the above photo) to the home theater receiver for the audio. Using this connection option, you will only be able to access standard Dolby Digital and DTS signals - not Dolby TrueHD/Atmos or DTS-HD Master Audio/DTS:X. Upgrading to a 3D compliant home theater receiver is not a requirement for enjoying 3D TV or projector viewing as you can send the video signal directly from the Blu-ray Disc Player to the TV or projector and the audio from the player to the home theater receiver separately. However, the options illustrated in this article do require one, or more, extra connections to your setup, as well a possible limitation on what surround sound formats you may access if you do not have a 3D compatible home theater receiver.